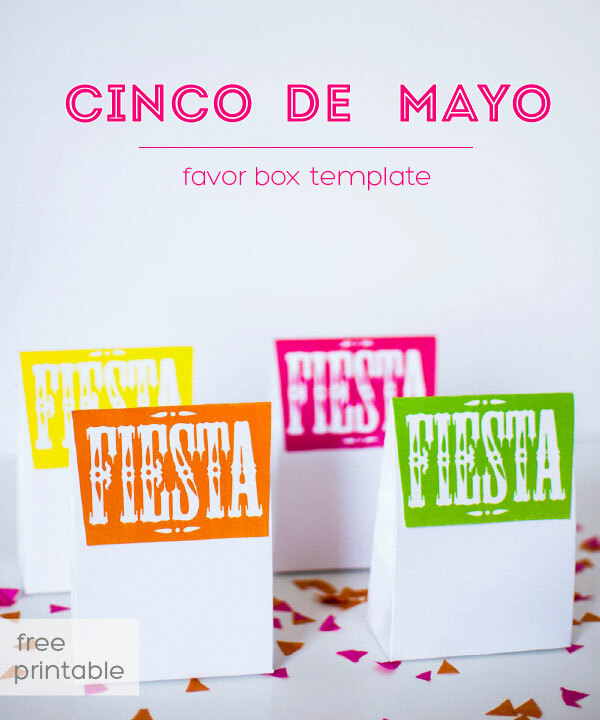 Cinco de Mayo party favors are super-easy with these free printable boxes. In festive colors, each box has a top flap that reads “Fiesta” and is reminiscent of the papel picado flags that are used at many Mexican celebrations. The boxes are a great size for party favors so you’ll be able to fit lots of goodies in them. To assemble your box, cut along the solid line. 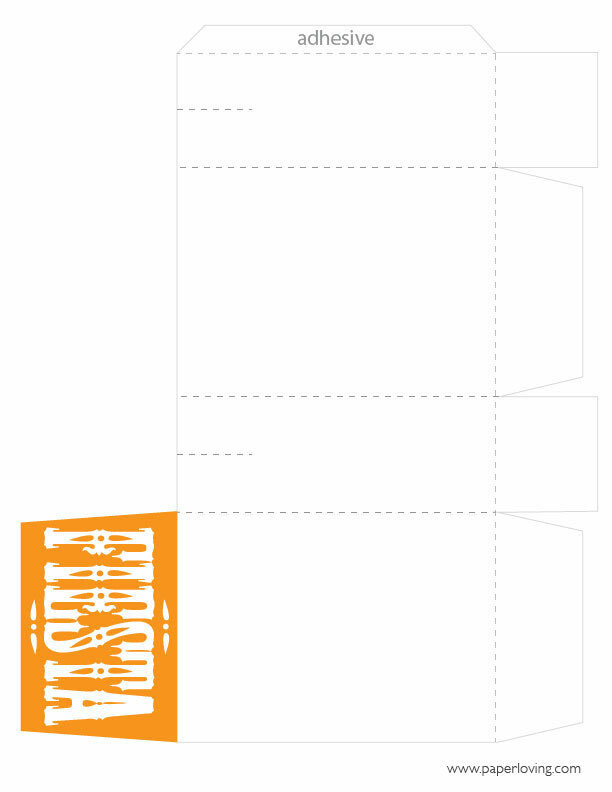 The printable template does not have dashed lines on it so you’ll need to use the folding guide image below as a guide for scoring the paper. Use a ruler and a bone folder to score your lines. If you don’t have a bone folder, you can use a knitting needle or the blunt side of a butter knife to make your lines. The goal is to make a depression in the paper to ensure your folds are nice and clean!